A large variety of LP bells offers different pitches and sound characteristics designed to meet all musical needs and fit into any genre. 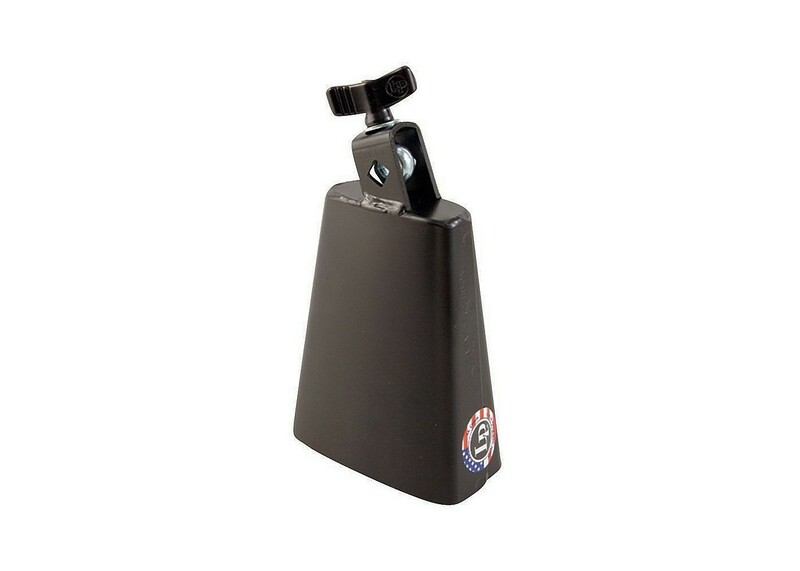 All mounted cowbells feature the famous forged eye-bolt clamp assembly with oversized wing nuts that provide secure placement on 3/8" diameter mounting rods with only finger tightening. This Sr. Model of the Black Beauty Cowbell has a similar shape as its name sake, but with a wider mouth. It is tuned a whole step lower in pitch and has a moderately dry sound with dynamic projection.